We were recently contacted by Stephen Kling of THGC Publishing in St. Louis, Missouri. He and 42 international authors have recently published a two volume book on the Great Northern War, 1700-1721. Much of this history involves King Charles XII of Sweden, a fascinating if not controversial figure. Charles is recognized as one of the Great Captains of history and was a legend to his Swedish soldiers. He was mysteriously killed in 1718 and his body has been exhumed multiple times to determine the cause of death- a lucky Norwegian bullet or from a Swedish soldier wanting to end the war? 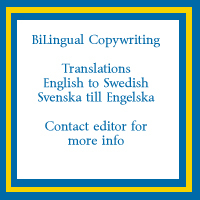 Sample the world famous Swedish Smorgasbordprepared by Skandinav i Florida. The Swedish Club of Tampa Bay celebrates midsummer at Pass-a-Grill Beach on Saturday, June 21 3pm - 5pm. Look for the Swedish group at a shelter in the Hurley Park, 1501 Gulf Way, St Pete Beach, FL 33701. Bring your own picnic basket with herring, gravlax and boiled new potatoes!